I believe these are very difficult to kill but somehow I managed to let 90% of the divisions my sister gave me a couple of year ago die. I’ll trade you more rudbeckia and/or Becky Shastas for some purple coneflower and tarragon! 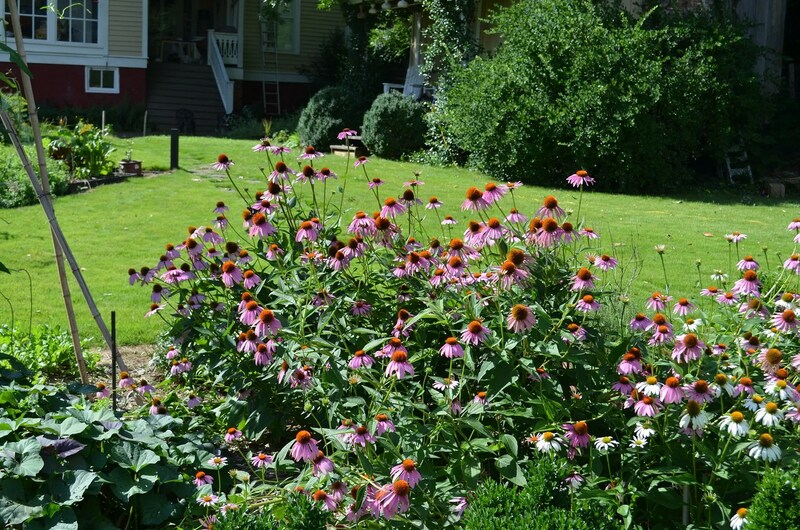 The coneflowers were started from seed in spring 2012 and transplanted last fall. The have done well and even if none need dividing yet I obviously could thin the plot by a plant or two. Tarragon root runners make bamboo look tame; I will save a couple vs pulling and disposing as artichoke encroaching weeds. Don’t you hate it when your realise (generally at about 3 AM) that you pulled up “weeds” exactly where you sowed that really special seed 2 weeks earlier? I’ve gotten a lot better at letting weeds establish themselves a bit better before I declare them thus and decree their execution and it’s saved me lots of good food. 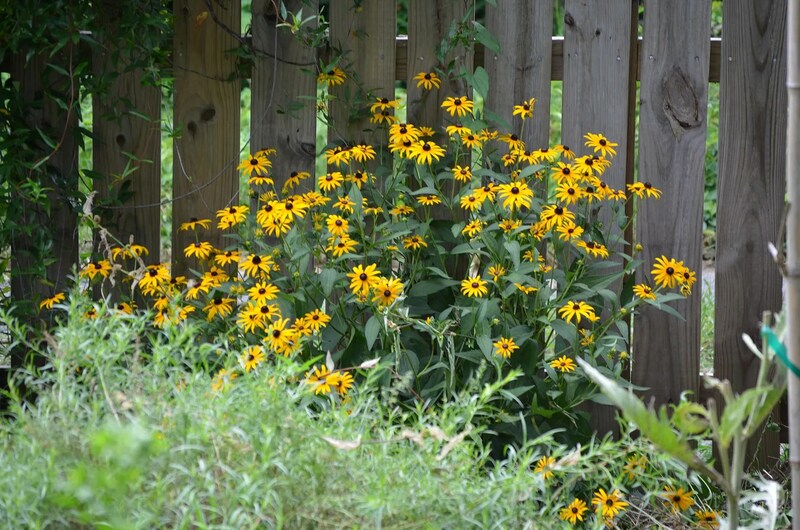 Rudbeckia is a personal favorite and I love what you planted along the fence with the weathered wood behind it…great look. Unfortunately we can’t see these from the sunroom. I have some more transplants to find a spot for this weekend (thanks sis) and am going to try and make them more “visible”.